Our family loves dressing up and having fun with themed celebrations, so we embrace Halloween and the opportunity to get freaky! Fear not, the scary season does not need to bury your finances alive. 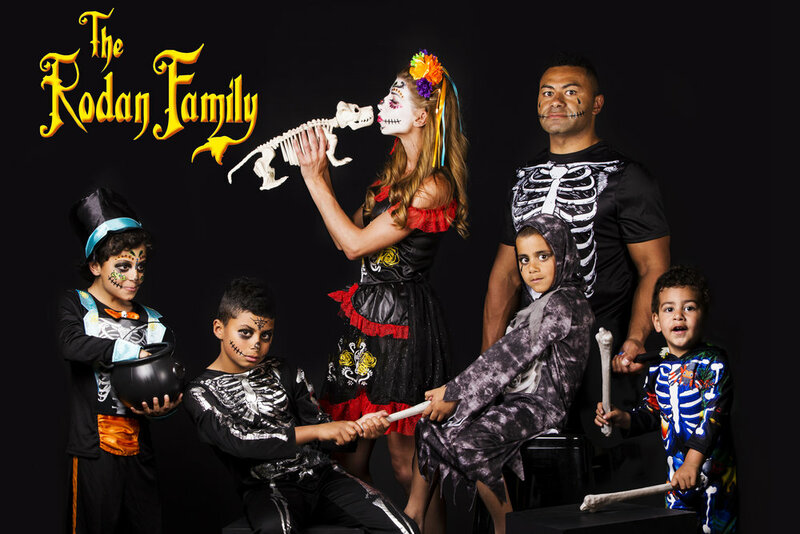 We’ve partnered with BIG W to showcase its affordable yet extremely effective holistic approach to spookify your entire family this October. 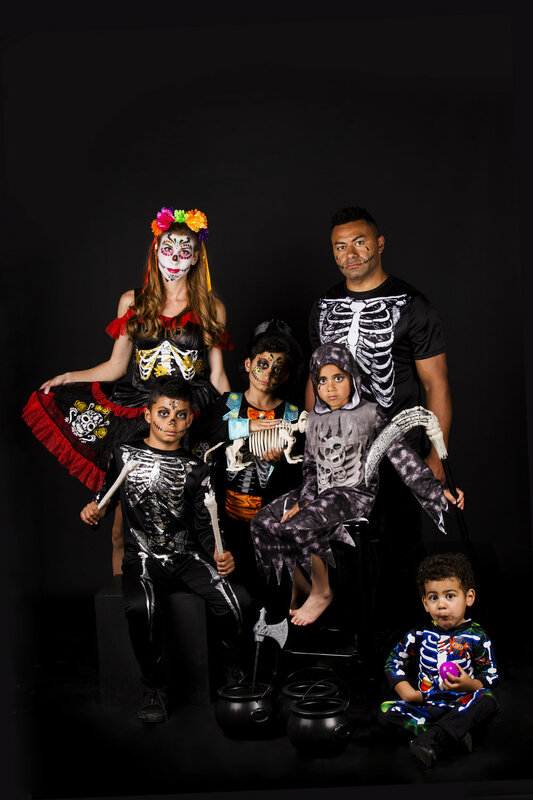 Day of the Dead is trending as the theme for Halloween ’18 so we’ve incorporated some skeletal looks into our Rodan Family shoot – taking inspiration from the original family of fear, The Addams Family. All spook-tastic props, makeup, costumes and consumable bribes (used on set with Salesi) are available from BIG W, online or in store. I don’t do anything in halves …and that includes dress ups! To achieve my spookishly sweet look, I wore the Dead of the Dead dress (size S) with matching floral headband, white make up pot and easy-to-apply face jewels. 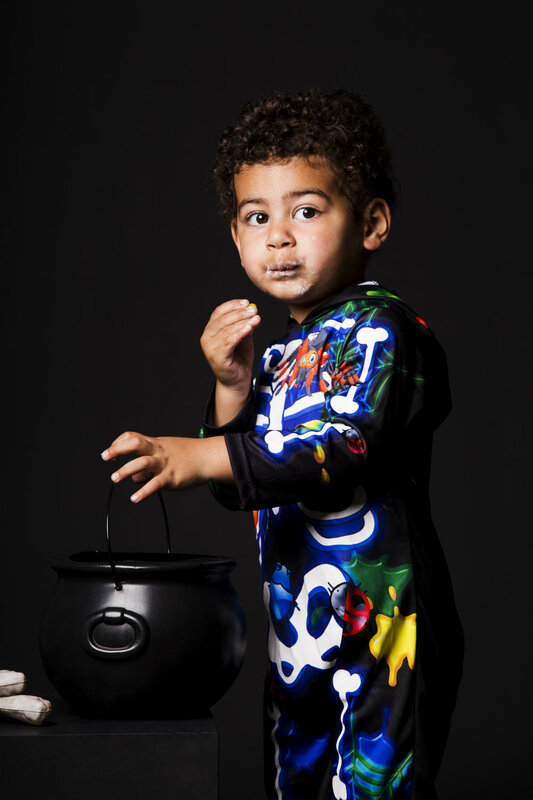 Tevita went with a classic Halloween look, the scary Skelton - perfect to ‘hand down’ to siblings year after year. Maikeli loves a little flair and couldn’t go past the Day of the Dead boys Tuxedo - complete with top hat. We also used $6 face jewels to complete his sophsiticated scary look. Once I explained the role of a Grim Reaper, Tomasi jumped at the chance to play the creepiest character of all. He definitely channeled his inner soul stealer for this shoot. 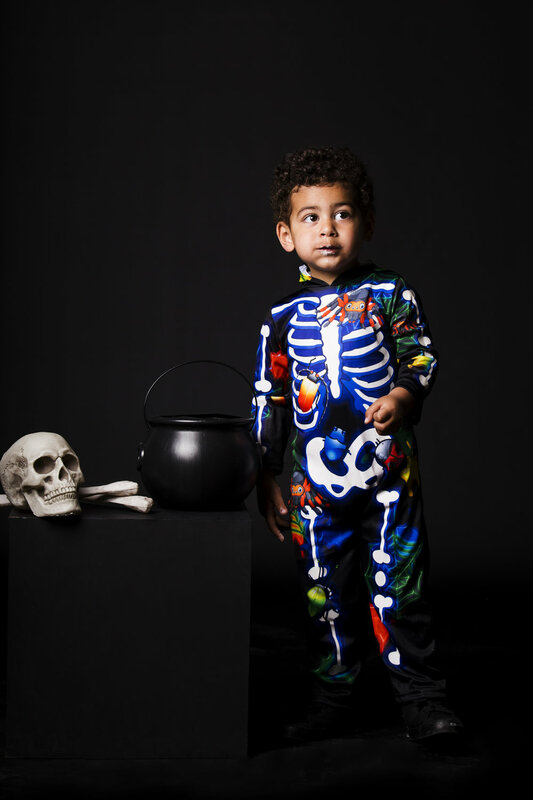 Now I know the theme is supposed tp evoke fear, but I’m expecting a lot of oohs and arrs when Salesi trick or treats in this Toddler Skeleton costume. I couldn’t go past this adorable bugs, spiders and bones costume for our tiniest spookster. The costume selection at BIG W is huge, so if Day of the Dead isn’t your thing, be sure to check out their selection of wicked witches, daring superheroes and cute as a button pumpkins. And if you’re time poor (like someone I know) you can always utilise the Pick-Up service on offer at BIG W.